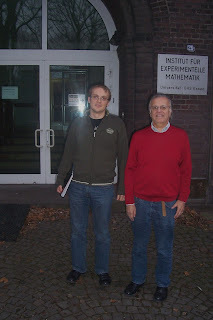 On 22 and 23 January 2008 a workshop on Arithmetic Geometry took place at the Institute fuer Experimentelle Mathematik (IEM) in Essen. This workshop was dedicated to recent results and an exchange of ideas in Arithmetic Geometry with a special focus on Galois representations and modular forms. Organisers were G. Frey and G. Wiese. 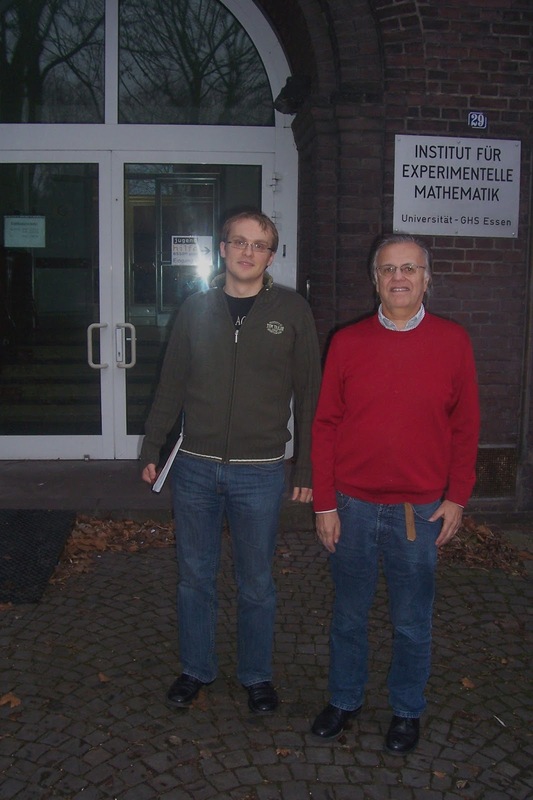 Prof. Dr. Frey gave a talk called "Hurwitz Spaces Related to Curves of Genus 2 with Elliptic Differentials"
As a member of the Institute fuer Experimentelle Mathematik I participated to the workshop.